Used the product like it said to on the box. The one I tried to grow broke partly out of the trunk, but gave up. It was kind of deformed; the horn, or whatever you call, didn't grow right. Just looked like a little blob. I started to peel the rest and still the trunk did not break away. This looks like a lot of fun for a young girl! I gave Grow a Unicorn to my great granddaughter for Christmas. 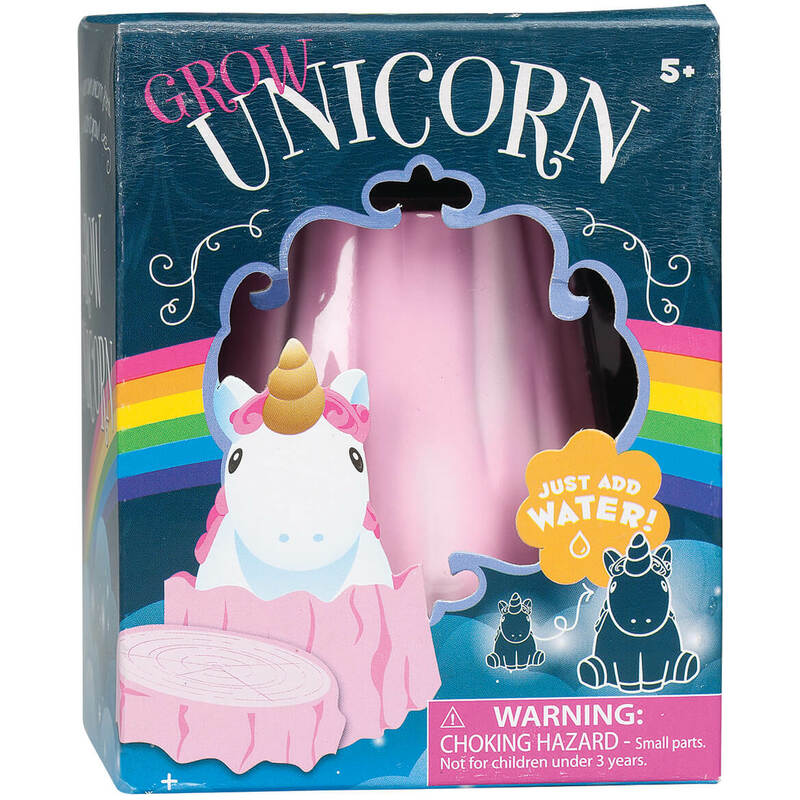 I was intrigued by it and decided I need to grow my own unicorn! Unicorns are so popular right now and my 6 year old niece is going to love this Birthday present! how big is the unicorn? BEST ANSWER: Thank you for your question. The Unicorn is about 3 1/2-4". We hope this information will be of help to you.